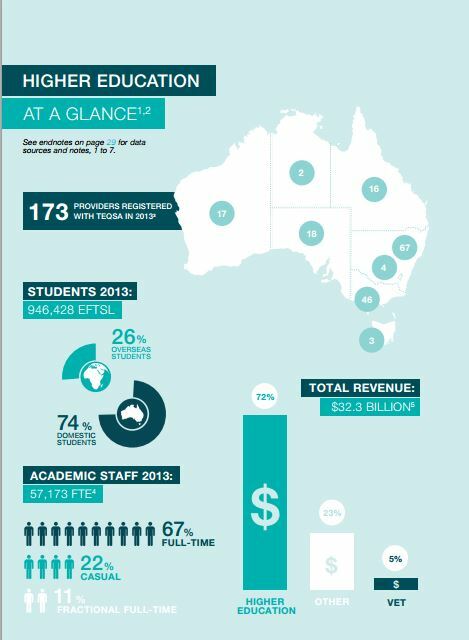 The Statistics Report on TEQSA Registered High Education Providers (‘the Statistics Report’), released in mid- June, outlines key statistics of the Australian higher education sector in 2013, drawn from information TEQSA holds as part of its regulatory activities. This is the second release of this kind from TEQSA, and presents data on providers, students, staff and finances in 2013. The Statistics Report is sourced from TEQSA’s Provider Information Request and TEQSA’s National Register, together with data from the Department of Education and Training’s Higher Education Statistics Collection.